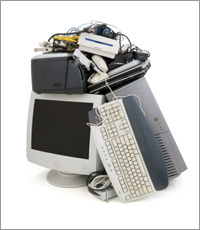 PhillyJunk provides a variety of house cleanout service and house junk removal options. When our truck teams arrive we will bag, remove, load, clean-up and haul away all household junk. We remove furniture, do house cleanouts, estate cleanouts, basement cleanouts, tenant cleanouts, hot tub removals, wood shed removal, garage cleanouts, bulk trash removal, renovation debris removal or just about anything else. We remove bulk junk, get rid of junk stored anywhere in the house, storage unit cleanouts or on anywhere else on the property. When you want your property cleaned out and you need a professional junk removal service call PhillyJunk. We safely take away junk with our trained, uniformed, insured professional junk removal truck teams. Just call 1-888-810-5865, to schedule your appointment. When the rubbish removal team arrives, they will review your specific needs – house cleanout, construction debris cleanup, basement cleanout, furniture removal, cardboard boxes, etc. In some cases, we’re available same day or next day. If you have a specific day in the future in mind for your junk removal and house cleanout, book well in advance to be sure we’re available. Very simply, we charge for our removal service based upon how much we haul out. Our truck containers hold 15 cubic yards (10’ x 8’ x 5’), so whatever space your stuff takes up in our trucks is what you pay for. Our prices begin as low as $144.00 and go up to $619.00 for a full truckload. See our pricing page for more details. Whether we’re hauling junk, doing an estate cleanout or an office cleanout, at Philly Junk, we’re all about safety in our removal services. We conduct employee criminal background checks and drug and alcohol checks, and ensure our employees have safe driving records and are trained in safe handling practices while in your home or office removing your unwanted materials. 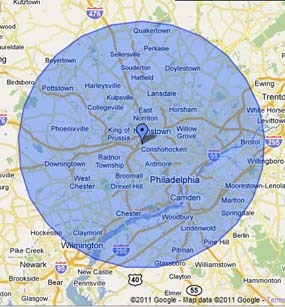 PhillyJunk serves the Philadelphia area, including; Bucks, Chester, Delaware, Montgomery & Philadelphia, Pa. Counties. ………plus New Jersey and Delaware!